• 2525 sqft , 3 bath , 4 bdrm bi-level – FOR SALE USD279,900 . 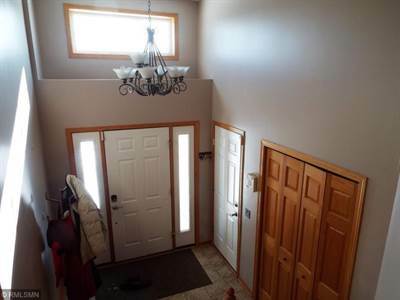 Roomy 4 bedroom, 3 bathroom split level with attractive angled stairway entry. Nice curb appeal with a great deck off the living room. Fenced yard with jungle gym for the kids. Cozy family room with fireplace and patio doors to back yard. Great functional kitchen with breakfast bar. Jetted tub in lower level. Extra storage under landing.